Piaggio Vehicles Private Limited (PVPL) has announced the pricing of the upcoming premium scooter Aprilia SR 150. The scooter will start selling from August with the price starting at Rs. 65,000. It will be manufactured at the Baramati plant in Maharashtra. The Aprilia SR 150 was spied in late June in June Pune for homologation. 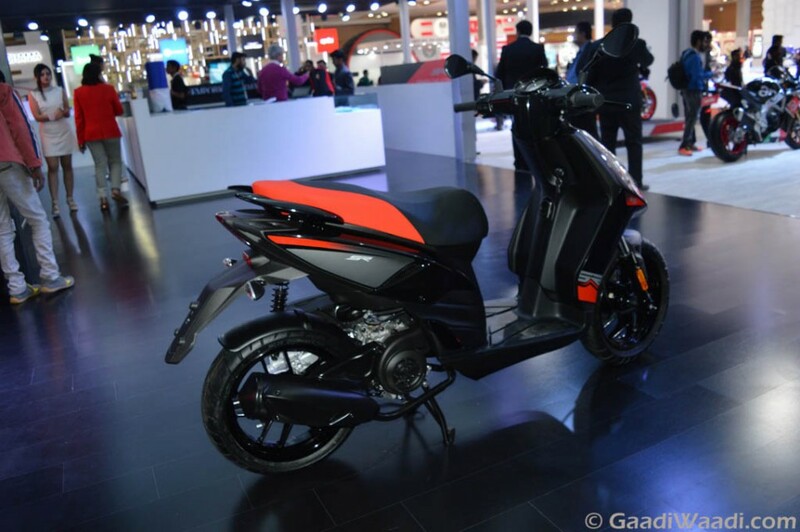 Now, the company is preparing to start selling its first scooter under Aprilia brand name. 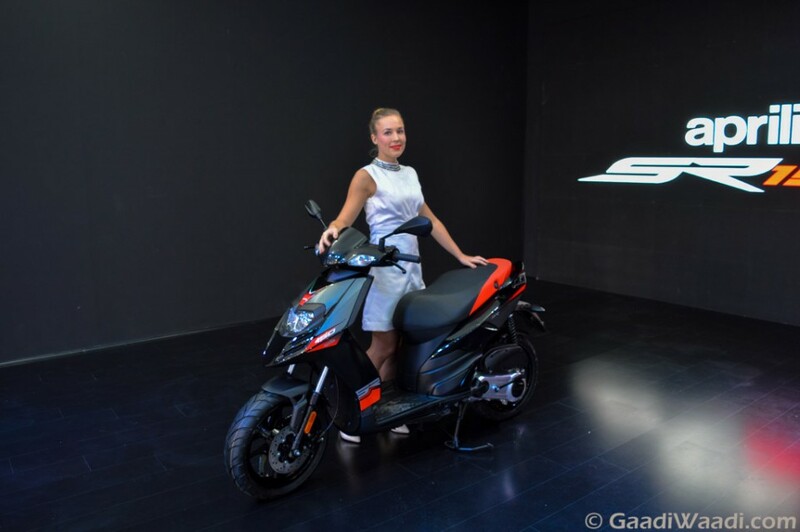 The Aprilia SR 150 premium scooter was first showcased in India at the 2016 New Delhi Auto Expo earlier this year in February. It comes with a sleek and sharp fascia. The front fascia features dual headlamps, one at the front atop and one at the beak like cowl. The handle bars feature the turn indicators. Other features include dual pod analog instrument cluster, sporty body graphics and flat foot bed for the rider. The underseat storage compartment offers plenty of storage space. It also comes with alloy grab rail for the pillion. The Aprilia SR 150 draws power from a 154.4 cc air cooled single cylinder three valve carbureted engine. On transmission front the scooter gets a CVT gearbox. The engine os capable to churn out 11.55 PS of peak power at 7000 rpm and 11.5 Nm of peak torque at 5500 rpm. Interestingly, this same engine is available in another premium scooter Vespa 150. 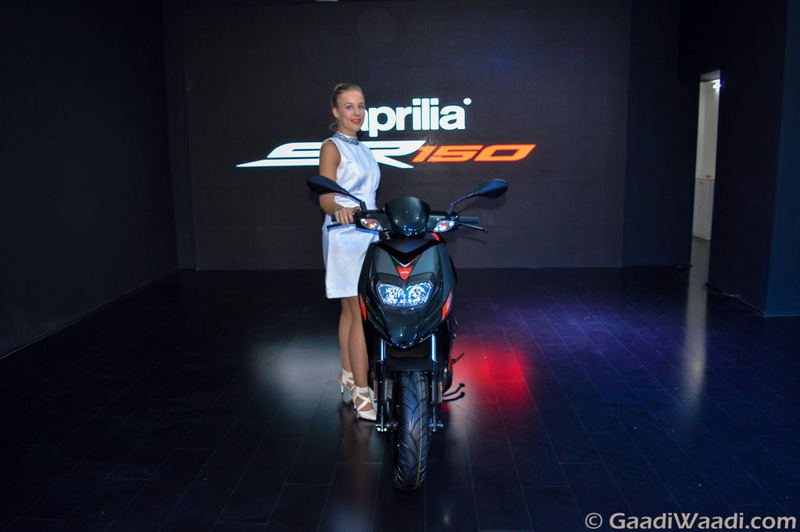 The Aprilia SR 150 is the first scooter under the Aprilia brand in the country. It has been designed to display the sportiness. It runs on 14 inch black alloy wheels, wrapped with performance oriented tyres. Also read: Upcoming Aprilia SR150 Premium Scooter Spotted in Pune A 220 mm disc at front does the braking duty, while the rear gets drum brake. On the suspension front it features telescopic suspension at front, and single side coil spring at rear. Due to the higher localized production ratio SR 150 is going to be the most affordable Aprilia scooter in India. It will be offered in two different colours; white and black. The booking for the scooter will began shortly. 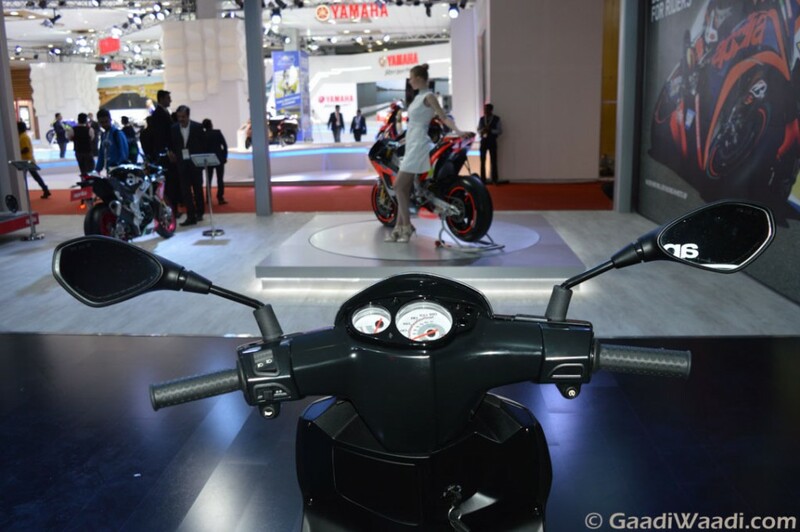 It will be sold through the Piaggio Group’s dealership network across the country.